Front entries are the first impression you make on guests so why not create an inviting space. As an interior designer I tell my clients to think of their entry as an advertisement for their home and what’s to come. The entry should hold some of their favorite things and introduce the color scheme for their home’s interior design, revealing a little about their personal style. 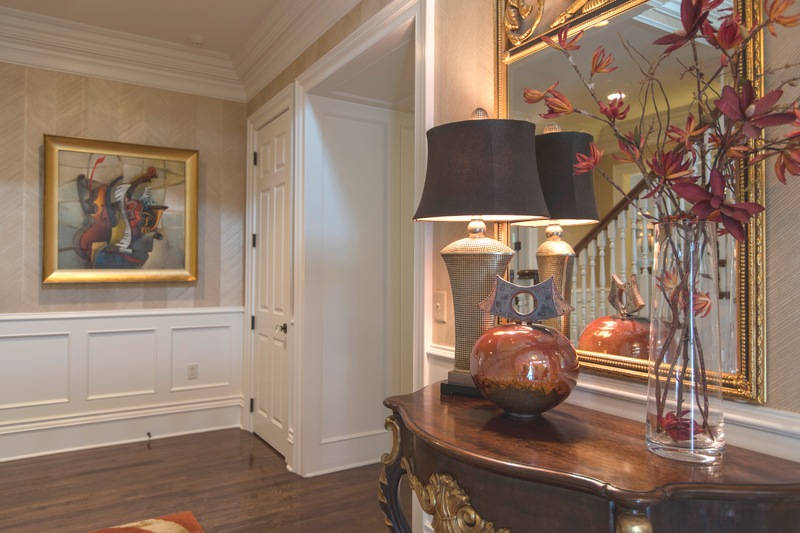 Read on for 7 simple ways to create a beautiful foyer. Introduce a Sofa Table or Case piece – Start with a piece of furniture that fits easily in your entry and ideally can also hold decor. Examples of case pieces could include a chest like this photo, a curio, sofa table, desk, etc. 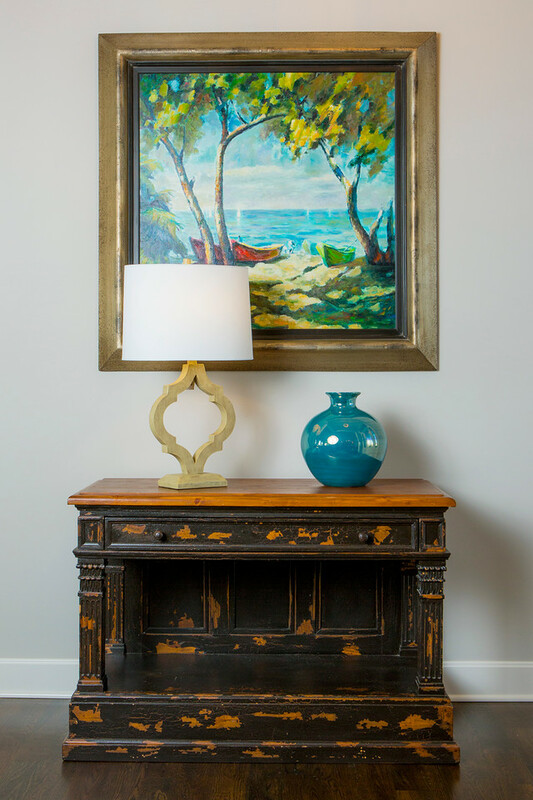 In this entry the art brings together the warm neutral lamp, antique chest, and blue vase. Freshen Up with Live Flowers or a Plant – In the photo above the texture of the leaveas balance out the cold surfaces of the floor and walls, bringing the outdoors in.  Layer in Artwork or a Mirror – Introducing artwork can add texture and reveal a bit of your personality, while a mirror is not only functional but also makes a style statement and can bounce light around from a lamp placed in front. Ground Your Entry with a Rug – Layering a rug underneath adds warmth, color, and style to your foyer. 5. Light it up With a Lamp – Lamps not only provide function and ambiance, but they can introduce more style to a space like this spiked lamp pictured here. The gold and warm colors throughout creates a cohesive element, while the pattern of the chest, chair, and plates add style and interest. Tell a Color Story – You don’t have to be as bold and bright as this entry photo, but every space does have a color scheme even it’s neutral. The earthy brown of the chest is picked up again on in the painting and bowl while the blue lamp base color reinforces the artwork.